Have you already registered for the workshop? Welcome! Your workshop starts now! During the preparation phase of the workshop, you’ll complete your book reading, read about certification and ethics, fill out the pretest, and hopefully take the Childbirth Education for Professionals class. 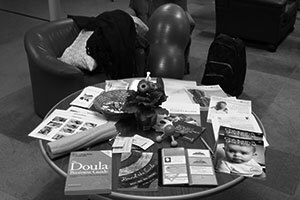 If you have time, here are projects you can do now or later to begin your doula practice. Your space is confirmed when the registration form and payment have been received. You will be emailed a confirmation letter with details about the training. If you do not hear from me within a few days, please contact me again. Here are the three documents you’ll need to download. 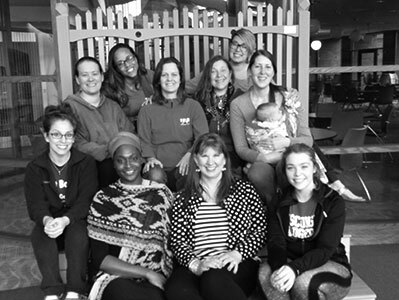 DONA Birth Doula Certification Requirements: This pdf document outlines the requirements for birth doula certification, estimated costs, reading list options and frequently asked questions (FAQs) from DONA International [Download File]. For more detailed information about certification or to have any questions answered, please go to www.dona.org. Read the DONA International Standards of Practice and Code of Ethics (pdf) for birth doulas. Think of two questions you have and bring them with you to the workshop. (optional) Are you considering having your own independent doula business? If so, you may be interested in completing the DTD Marketing Exercise. People who complete all six steps of the exercise may participate in a Mastermind on the last day of the course, getting input from other people in their training. Here are the first four questions on the exercise, which you can complete before the training. You’ll be given the rest in your training manual. You’ll also want to set aside a half hour to complete the last two steps on your own before the morning of Day 3. (optional) An important topic in perinatal care today is the issue of racial disparities in birth outcomes and racism in health care. If you don’t know much about this, you may enjoy reading the O magazine article, “Getting Sick While Black“. (optional) You may be interested in reading some posts on my Blog, Doulaing The Doula. Directions to the Madison meeting location: The 2019 Madison Trainings are held at the Hawthorn Suites by Wyndham, 5421 Caddis Bend, Fitchburg, (608) 271-3400. They offer a FREE shuttle service to the Dane County airport and local restaurants and attractions. The hotel is next to five restaurants and a full service grocery store. It is connected to the Madison Bike Path system from both the east and west sides of Madison. There is a bike rack in front of the building although it does not have a rain cover. The city bus system route 40, 47, and 49 stops two blocks away on weekdays. On weekends the closest stop is bus route 40 by Fish Hatchery Road and County Road PD (confirm the bus route). Directions to the Milwaukee meeting location: The 2019 Milwaukee area trainings are held at the Country Inn and Suites Hotel, 1250 South Moorland Road in Brookfield, WI, (262) 782-1400. The hotel is next door to four restaurants, a full service grocery store, and twenty more restaurants are within a five minute drive. The pretest and pre-workshop assignments are essential. They were very helpful to organize my thoughts and prepare me for this intensive workshop.